The enamel that coats our teeth is actually harder than bone and provides a guard against bacteria and tooth decay. The saliva in our mouths possess enzymes that break food down on its own, and antibacterial properties that are so powerful that a wound in the mouth heals twice as fast as one elsewhere. By brushing your teeth immediately after eating, the abrasive action of the tooth brush combined with the ingredients in the tooth brush temporarily softens the enamel and makes them more vulnerable to tooth decay from bacteria left behind. It is better to reserve dental cleanings for 30 to 60 minutes after eating; this gives your saliva time to break the food down and requires less abrasion to your teeth. MYTH: Bleaching is bad for your teeth. The home whitening kit contains 3-10% hydrogen peroxide and the whitening service provided by your family dentist contains 15-38% peroxide. 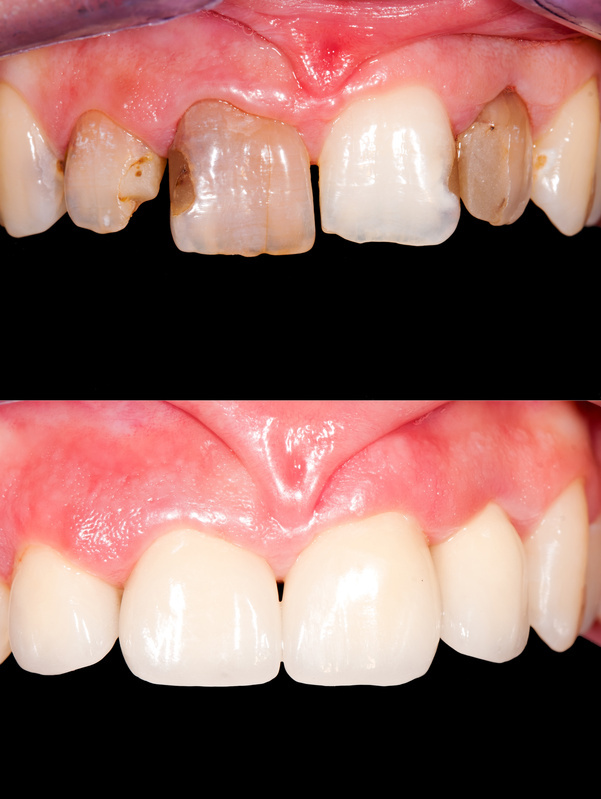 The hydrogen peroxide oxidizes discoloration on the surface without having any impact on the tooth itself. Bleaching your teeth might make them feel sensitive, but when you stop using the whitener, the sensitivity will fade away. Many dentistry professionals recommend using tooth whiteners in moderation though. Tooth whiteners don’t weaken the structure of the tooth, but overuse can cause enamel loss. Ideally, you should have your teeth whitened by a cosmetic dentist or even your family dentist rather than using an at home kit. Your family dentist can ensure the procedure is performed in conditions best suited for your teeth. MYTH: A tooth will dissolve if submerged in soda. The myth that soda dissolves teeth comes from a Cornell Professor’s speech to a Congressional committee for food safety in 1950. His claim was the combination of the three acids in soda– citric, phosphoric, and carbonic acid– could breakdown the structure of the tooth within days if it were submerged. However, these same acids appear in many drinks, including fresh orange juice. The strength the acids possess to dissolve a tooth is eliminated by our mouth’s great protector, saliva. Furthermore, the tooth-dissolving claim is one that has never successfully been replicated. This is not to say that soda is good for your teeth; the sugar in soda feed the bacteria in your mouth and contributes to tooth decay. However, if you slept with a mouth full of Coke for some reason, your teeth would still be there in the morning. Do you have any interesting mouth myths to add to our list? Please contribute them in the comment section below!